An Insider’s Guide to Small Production Wines and Well-Known Labels. 2012 2012 Maratona Red Blend - Only 148 Cases Produced Pelissa Vineyard's nearest neighbor is Opus One!!! Shhhh...if you're learning about Maratona for the first time, consider yourself to be in a rather elite Napa cub. The Pelissa family bought their 1st vineyard in Napa Valley in 1903 (for 10 gold coins! 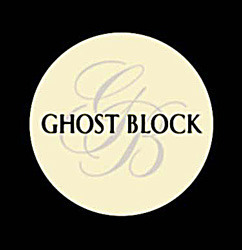 ), and you already know about their famed Ghost Block Cabernets. But in exceptional growing years, the family also produces a limited bottling of a Cabernet blend called Maratona. 2012 was certainly an exceptional vintage, so the very best fruit from the renowned Pelissa Vineyard was used to produce only 148 cases of Maratona. To put that in perspective, the Pelissa Vineyard's nearest neighbor is Opus One, which produces 25,000 cases annually. That's right, 148 cases vs 25,000. And $99 vs $250. Now you understand why this wine is so coveted. The fact that we landed a few cases of this coveted Cabernet blend simply blows our mind, but we couldn't be happier. ©2019 Wine Confidential. All rights reserved. Subscribe to receive special offers (like free shipping), discounts, information on exclusive wines, and more!